Revered in many cultures, the elephant symbolizes good luck. 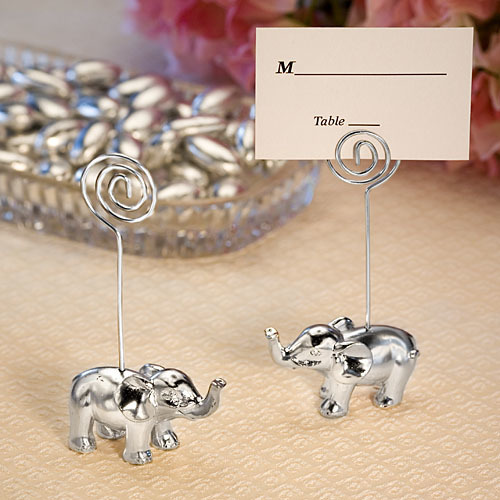 So how fitting to have these lucky elephant place card holders greet your guests when they arrive at your celebration. Each silver finish elephant measures 4" x 2" x 1 1/2" with an elephant base and wire coil extending above to hold the place card or a note or photo once your guests take them home. Your favors arrive in an individual poly bag with place cards included.